Kids nowadays are bored very quickly and easily and this is alarming to a lot of parents. 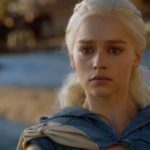 However, with the advent of technology and constant updates, parents now have more options than ever to keep their kids busy. One such engaging present for your child is a hoverboard. 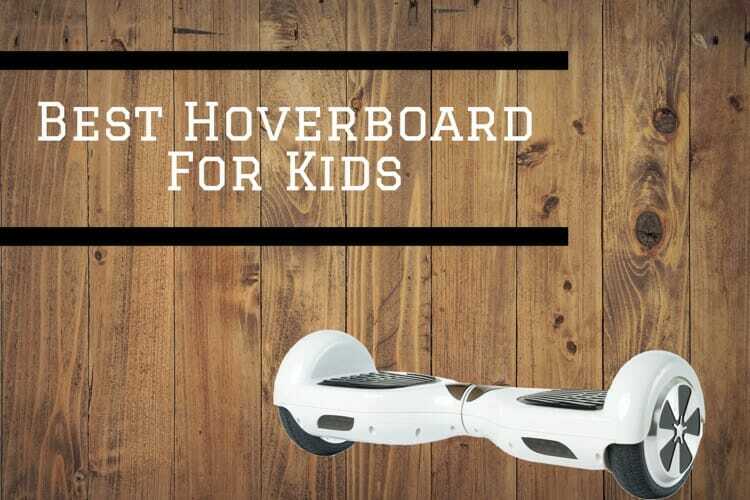 We are going to pin down 10 best hoverboards for kids that you can buy right now! Now the first thought that comes to a parents mind when such an idea pops up is if these hoverboards are safe for their kids or not. To answer that question, yes safety is one of the most important factors that you have to take into account and here’s a little something which will make you feel a lot less worried. The following hoverboards are certified by UL2272 for safety, so now your safety worries are taken care of! 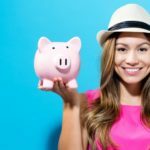 Let’s move on to some of the best hoverboards in the market right now which you can buy for your kids and put that sunshine smile on those faces! This scooter is perhaps one of the best in the market right now because of the many many amazing features it provides you with. 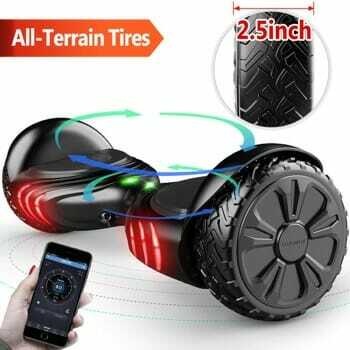 To begin with, you can connect the hoverboard to your smartphone with the help of your Bluetooth and can also control the lightings and music on it. It also has a lasting battery life, so no more constant charging! It is UL 2272 safety certified and is water and fireproof. 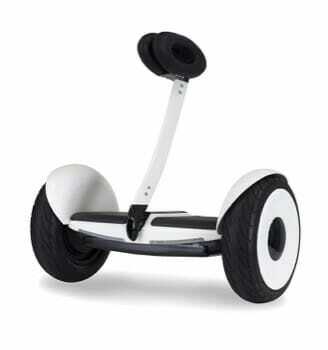 However, the only glitch with this scooter is its wheels which are small in size and are hence not suitable for rough terrain, which means it is not a mountain bike. You can use it for all kind of city roads as the radial ply threading helps in better gripping. 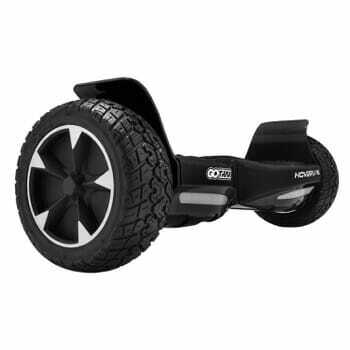 This hoverboard can be used on rough as well as smooth terrain, so it is your perfect mountain bike. It UL 2272 safety certified and comes in six different colors! You can charge your hoverboard in just 2 hours and has a 15-degree climb capability, this makes an ideal match for your high terrain activities. It also has a Bluetooth feature. It comes with a dual motor which can last up to 9 miles on a single charge. However, this scooter will not work on sand, so this is one thing you have to keep in mind while purchasing it! 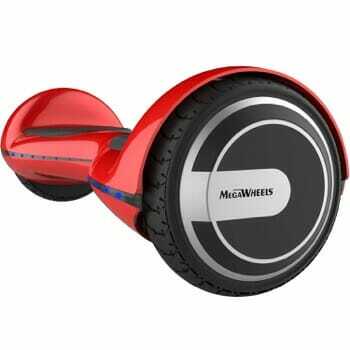 Megawheels hoverboard is waterproof, fireproof, splash resistant, durable and steady. It has a dual 250 watt motor on either side of it and can provide a mileage of up to 7.5 miles. It comes with a Bluetooth speaker and takes up to 3 hours to charge. You can get it in 8 different colors, so choose according to your liking. It also has LED lights which can dance to your music. You also get a 12-month hassle free warranty for this one. It can climb 18 degrees of ramps and of course is UL 2272 safety certified. You can use them on all kinds of terrains and has 8.5-inch tires. It also comes with Alloy wheels to provide better strength and a sporty look. Alongside it also has 400W dual motors and its charging time is very short as compared to the others in the market currently. It has around 30% more foot space, which can be good for comfort. But can be a little heavy for kids, so you have to keep its weight in mind while buying it! 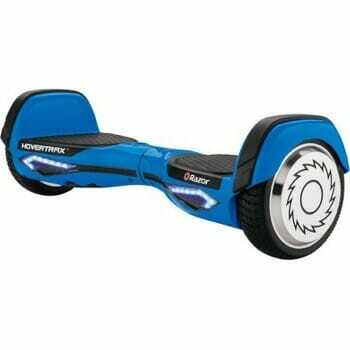 This board has two massive 350W dual motors and is UL 2272 safety certified. Razor’s patented EverBalance Technology will provide your kids with a smooth and comfortable experience. It has LG safe batteries, is made from shatter-resistant polymer and has extra foot space to give your child that perfect balance. You can run it at a maximum speed of 6 miles per hour with up to 10 miles per charge. It cannot be connected to Bluetooth and is not suitable for rough terrain. So if you are looking for music lights and speakers, skip this one. OXA can climb to 30 degrees of slopes, which again makes it a perfect e-mountain bike, requires only 3 hours of charging, comprises a third generation intelligent control system. It comes with a dual riding mode – non-self-balance and self-balance. This makes it easy for all kind of riders including beginners to ride it effortlessly. It supports a weight range of 11 lb to 330 lb which means kids to adults, anyone can ride this. It comes with LED lights for driving safely at nights and a unique footrest design to make the ride comfortable. You get a long ride of 8-12 miles with a single charge because of approx 20 long-lasting lithium batteries. A full charge cycle needs around 2-3 hours and you will be ready for your ride. Though this hoverboard is a fusion between an electric scooter and hoverboard, it comes with many good features. It comes with a unique knee based driving controls which makes it easy to drive. It comes with a 10.5-inch air filled tires which can easily carry a weight of 175 lbs. You will get dual motors which can generate up to 1400 Watt power instantly. Another good feature is smart controls which allows you to connect this hoverboard to your phone and control almost everything. It also comes with UL2272 certification for the better safety and protection. It can be fully charged in around 3-4 hours which can give you 11 miles rides without looking to charge again. The max speed for this hoverboard is 10 mph. 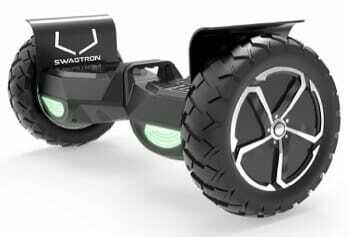 Swagtron T6 hoverboard is good for all kinds of people as this can carry up to 420 pounds. The minimum weight requirement is 44lb which should be good for 5-6 years kid. It is UL 2272 safety certified and comprises of Sentry Shield to protect its batteries. It provides 12 miles of range and its top speed is 12MPH. The 10-inch wheelbase is good enough to run through any terrain with the power of 300 Watt dual motor at the back. 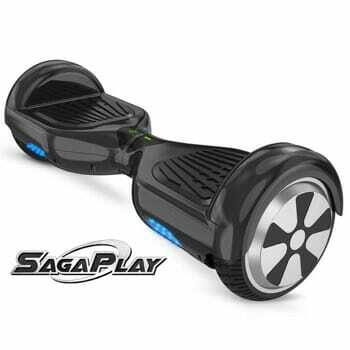 Its charging time ranges between 2-3 hours and is the best hoverboard in the market at the moment. 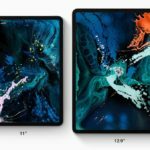 It is Ipx56 waterproof certified as well! GOTRAX Hoverfly XL Hoverboard comes in 7 different colors and design to provide the best deals for its users. This hoverboard comes with Ipx4 waterproof feature along with this it is also UL 2272 safety certified. 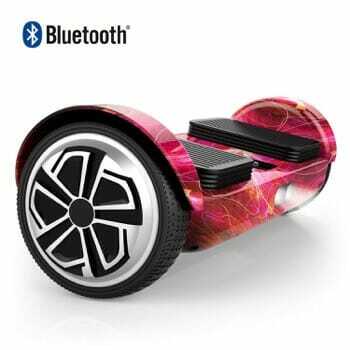 It can connect to the Bluetooth and change LED colors, and you can change the modes, brightness, speed, and sensitivity of the hoverboard. You can also engage pro mode to change the max speed to 10 mph from 7.5 mph. The only drawback of this model is its weight. 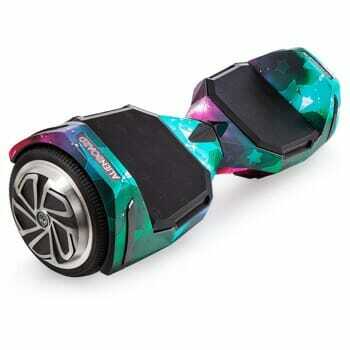 It’s a heavy duty hoverboard which will be good for safety but its hard to carry around. So make sure you keep that in mind while going for this model. It gets charged in 1-2 hours and gives you 12 miles ride with a single charge. This hoverboard is specially designed for kids as it has non-slip foot pedals which will prevent your kids from getting hurt. It is UL 2272 safety certified. It has dual 5W Bluetooth speakers and Samsung batteries. This electric mountain bike has decent 6.5-inch wheels, can be used on any terrain. 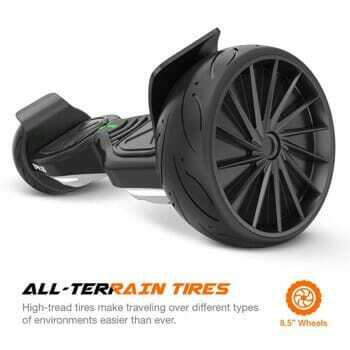 It is extremely durable gives a great mileage of 12 miles with a single charge. You can fully charge it within 2-3 hours of charge time. The overall weight of this hoverboard is around 30lb which will be easy for your kids to carry. These are some of the best hoverboard for Kids, although the list consists of some bikes which are not ideal for rough terrain, they do contain some pretty amazing features which your kids will love without any inhibitions!